The Northwestern University School of Communication is part of Northwestern University. The school is a private university located in Evanston, Illinois, which is a suburb of Chicago. The School of Communication offers both undergraduate and graduate degrees and boasts an impressive list of graduates, including Charlton Heston, Tony Randall, Ann Margaret and Stephen Colbert, among many others. Although instruction began at Northwestern University in 1855, when a faculty of two set out to teach a student body of 10, the School of Communication had its beginnings in 1878 as the university’s Department of Elocution. Eventually, the Department of Elocution grew into the School of Oratory, then into the School of Speech in the early 1920s. In 2002, the School of Speech became the School of Communication, reflecting the institution’s acknowledgment of the many ways that communication has evolved and expanded in the 21st century. Northwestern University prides itself on going beyond the traditional limits that bind many academic institutions, and its focus continues to be on cutting-edge instruction methods and groundbreaking research. Nestled snugly on the remaining 240 acres of what was once a 379-acre piece of donated land, Northwestern now has 16,000 students, roughly 11,000 of whom are enrolled in the School of Communication. The school offers Bachelor of Arts degrees, as well as Bachelor of Science degrees in Human Communication Sciences, Communication Studies, Radio, Television and Film, Performance Studies, Theatre, and Dance. Graduate degrees include a Doctor of Audiology degree and Master of Science degrees in Speech, Language, and Learning, as well as Communication. Master of Arts degrees are available in Media, Technology and Society, Technology and Social Behavior, Screen Cultures, and Performance Studies. Master of Fine Arts degrees are offered in Writing for the Screen and Stage, Directing, and Design. Doctorates are available in Communication Sciences and Disorders, Communication Studies, Interdepartmental Neuroscience Program, Theatre and Drama, Media, Technology, and Society, Technology and Social Behavior, Screen Cultures, and Performance Studies. Among the campus media opportunities communication majors can participate in are the Daily Northwestern, a student-run newspaper, two radio stations and a television network, the Northwestern News Network. North by Northwestern is a print and online publication with student contributors, and NU Intel is an online magazine that is run by students. 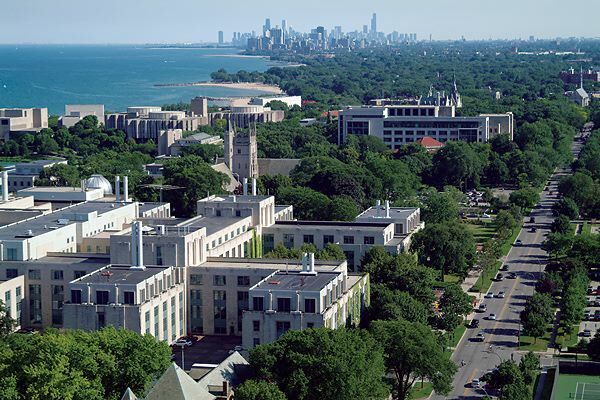 U.S. News & World Report has ranked Northwestern University number 12 in the nation, and Washington Monthly has proclaimed it number 67 in the United States. The School of Communication is considered one of the most academically productive schools in the United States. Northwestern’s 19 athletic teams are known as the Wildcats. The school helped to found the Big Ten Conference and remains the only private school in the conference. The Evanston campus, home to the School of Communication, is known as one of the nation’s easiest campuses to navigate. In addition to a campus shuttle system and ample on-campus parking, a pedestrian-friendly design and an excellent public transportation system make getting from point to point easy both on and off campus.